BRAND NEW NASAL MASK! 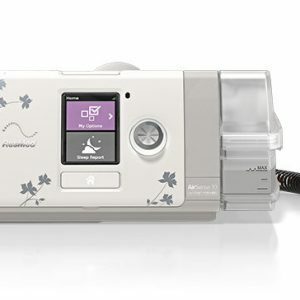 The AirFit™ N20 Nasal CPAP Mask with Headgear is designed to help provide a proper seal to users with various facial structures.The technology of the InfinitySeal™ cushion, soft frame, and plush headgear provide comfort along with versatility, making this mask a very user friendly comfortable mask for your CPAP therapy. 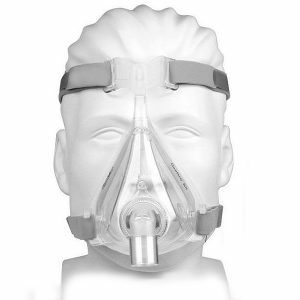 This mask is available in small, medium, or large with one standard size headgear. The InfinitySeal Cushion is the most adaptive silicone cushion ResMed has designed. Features specially designed loops and varying thickness levels designed to prevent blowout, in order to create a secure seal and prevent mask leaks. The frame is flexible and soft to the touch with integrated padding to help avoid irritation, The frame is flexible, adapting to the user’s fit and changing positions during the night. 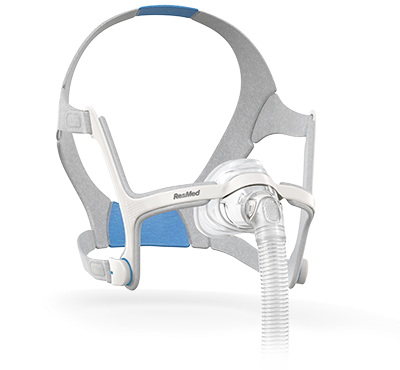 The magnetic clips attach to the headgear and lock onto the mask frame, allowing headgear adjustments to remain in place if the mask is taken off. 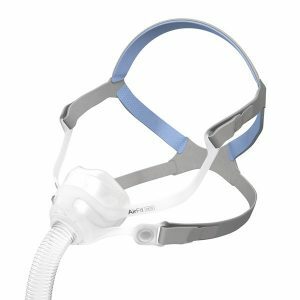 The quick release elbow allows for disconnection of the mask from the CPAP hose for times when you need to get up at night. The flexible tube interconnects the elbow to the machine tube, giving patients more freedom of movement without encountering tube drag or leakage. 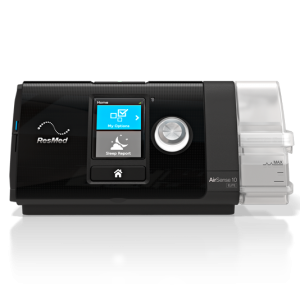 The short flexible tube can connect to any CPAP or BiPAP/VPAP tube.